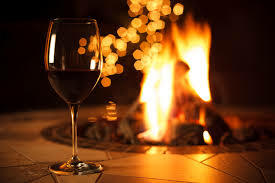 There is nothing quite like a fire. It glows. It crackles. It provides warmth. Put it against the back drop of the great outdoors and you have something truly spectacular. 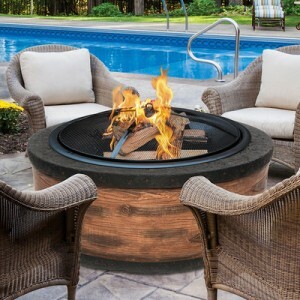 While outdoor fireplaces are all the range currently, a fire pit is an equally suitable alternative with considerably less expense and effort required. Photo below from Greensboro Daily. If you feel inspired to build your own there are many good sites with insturctions such as the one from Interior Design and Architecture below. If you want the built in look without having to make one from scratch there are many on the market. Below are some of my recent finds, if you are interested in a particular item, there is an embedded link in each picture below to make it convenient for you to click on the item and select. The one below in a cast concrete is lovely. 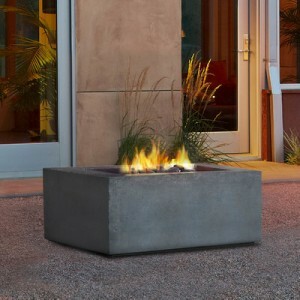 Pair it with a pea gravel base and it can fit into any schema from French country to contemporary city chic. It would be lovely with potted lavender all about conjuring up images of the French country side. 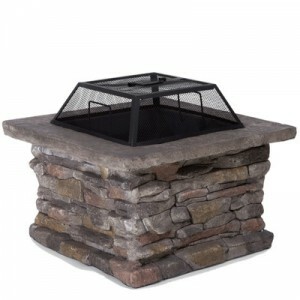 For a more rustic look in stone below, this would be great in settings ranging from the mountains to a Tuscan Villa. 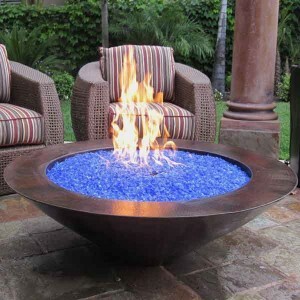 Just imagine sitting by this one with a view of the mountains across the way. If you want something simple and portable the one below fits the bill. We have a simple copper bowl as below. I got one for my Dad on Father’s day one year which we use at the Lake all summer long. 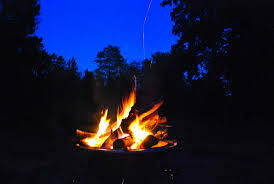 The girls love to spend a day on the lake and then roast marshmallows with friends for s’mores after sunset. The combination of sunset, fire, and its reflection on the water is almost intoxicating. It truly draws us out and gets us using our outdoor spaces more frequently. 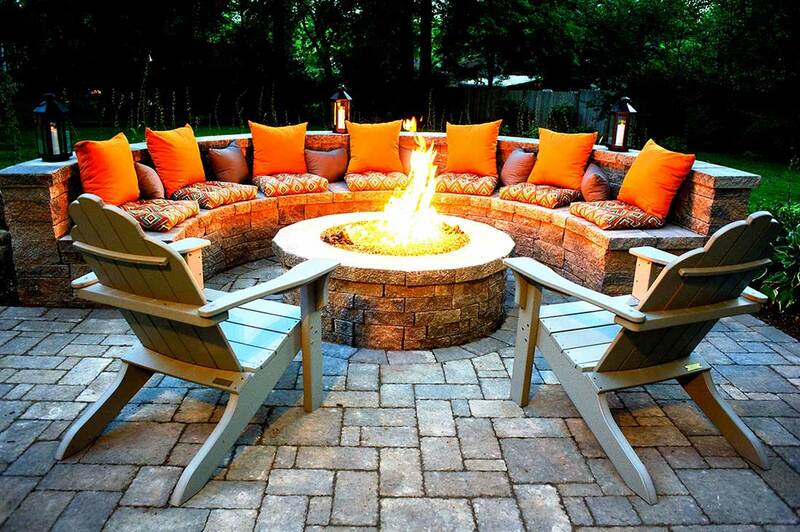 So go ahead, pour a glass of wine, and make more use of your back yard all year long. Better yet, invite some friends over and make a night of it! Image from the home decorators. Great write-up, thanks for the suggestions! This is a really informative website. Makes me want to go out and toast some marshmallows. 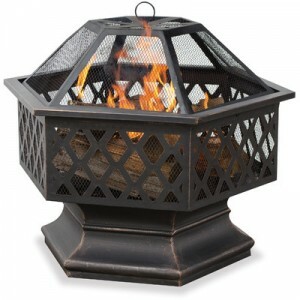 We are designing our house now and I was planning on an outdoor fireplace, but this post makes me reconsider. 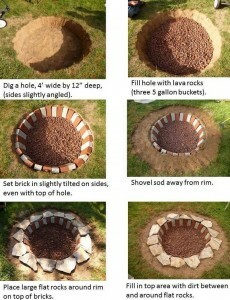 I might use a fire pit instead and splurge elsewhere. Thanks for the awesome post. 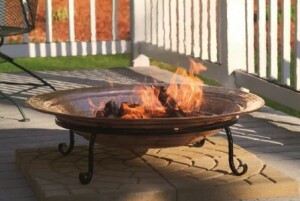 This blog is great, I’ve been considering getting a fire pit.